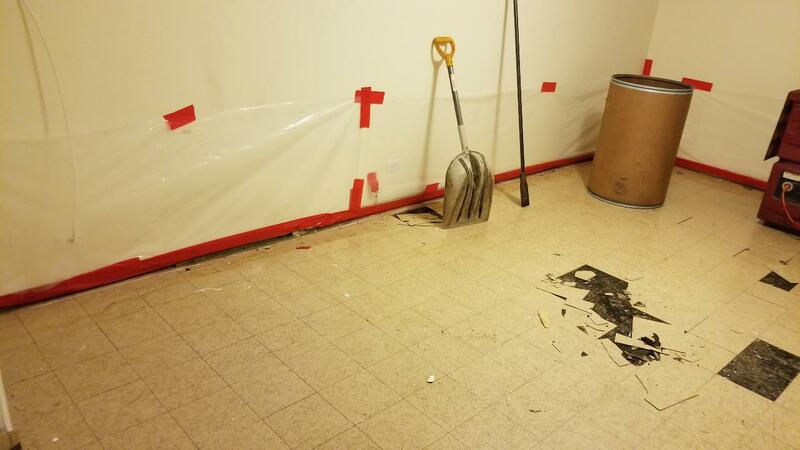 The team of asbestos removal professionals at Asbestos Project Management was recently contacted by a homeowner in Lisle after he discovered what he suspected was asbestos tiles in the basement of the home. 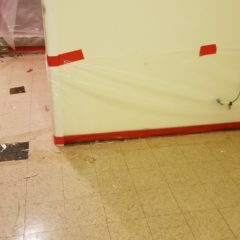 After determining that in fact, the 9-inch by 9-inch tiles contained asbestos, we also discovered that the mastic (glue used to secure the tile in place) also contained asbestos. 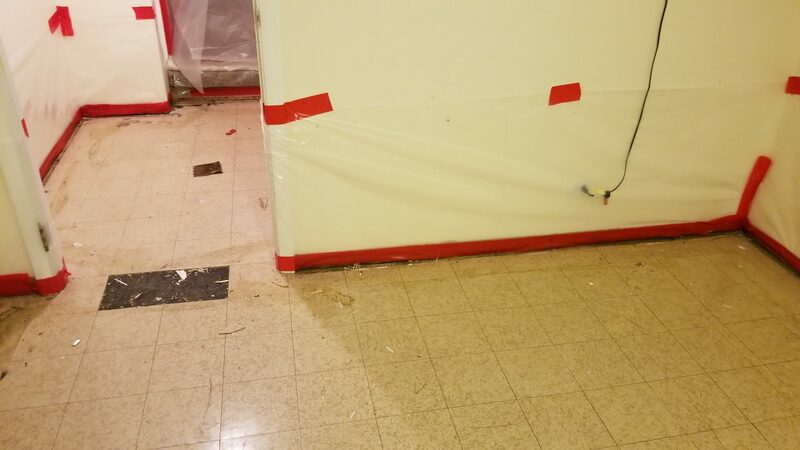 Finding both the tile and mastic both made with asbestos is a fairly common occurrence and removing both is a pretty routine job for our team. 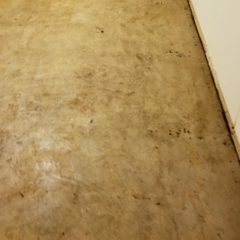 The first step in our process was to seal off the basement with 6mm plastic from the rest of the home, including doorways. We then turned off all HVAC systems. 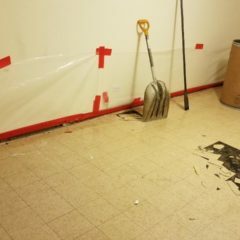 This ensures the harmful spores contained within asbestos are not released into the home during our removal process. Next, we installed a HEPA exhaust system that creates negative pressure from inside the work area. 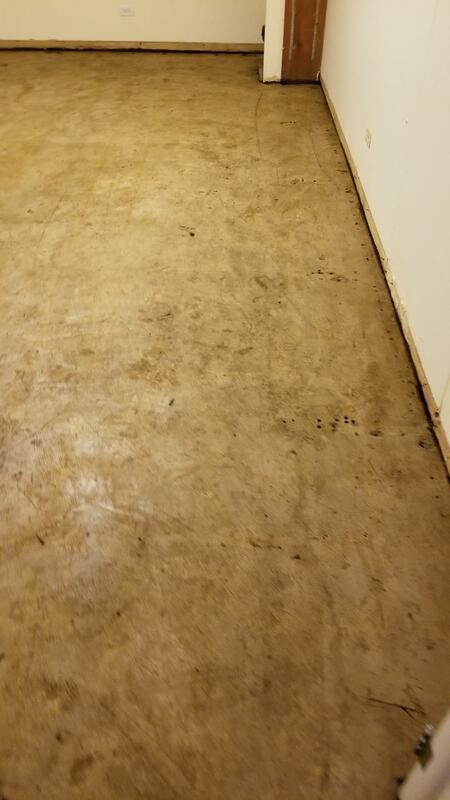 Our team then suited up and began the process of carefully removing all the tile and mastic from the concrete basement floor using the wet gross removal method. Waste was then wrapped and sealed in double 6mm polyurethane bags and then placed in 55-gallon sealed fiber drums. Next we HEPA vacuumed and wet wiped using amended water. The hauling and disposal of waste was completed in compliance with all Federal, State and local rules and regulations. Finally, clearance air sampling was performed by an I.D.P.H. licensed air sampling professional and air samples will be analyzed by third-party laboratory. To view this process from start to finish, click through our photo slideshow below. 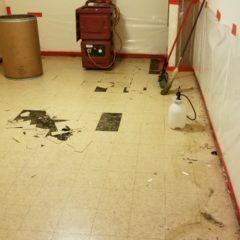 Asbestos Project Management Chicago area asbestos removal company is committed to maintaining the highest levels of education and certification for the safe removal of asbestos from both residential and commercial properties. 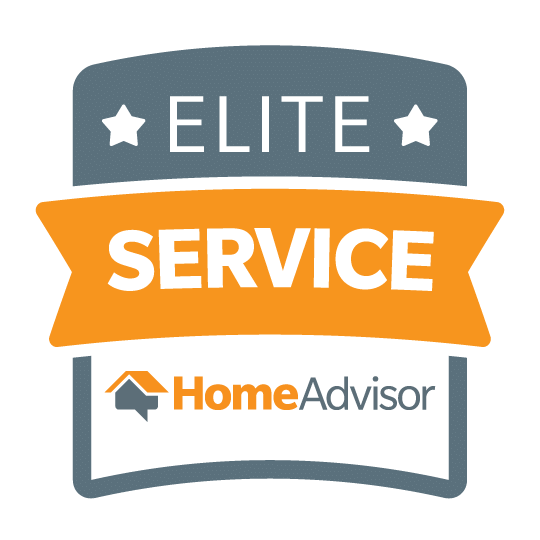 We always adhere strictly to industry, government and safety standards. 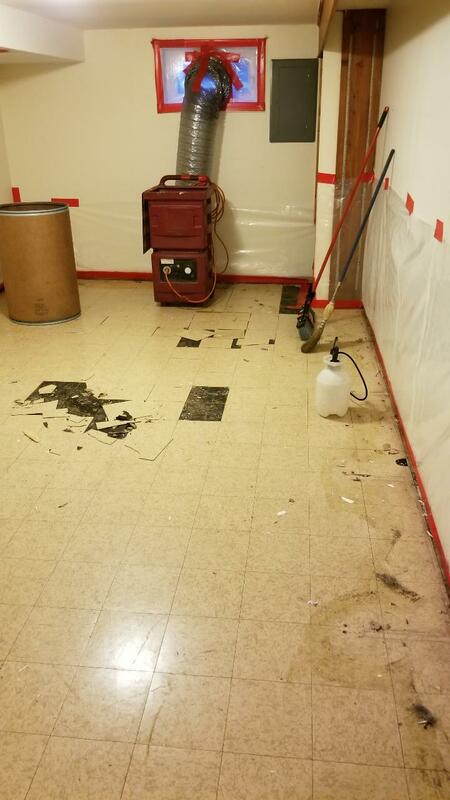 Throughout each asbestos removal project, we ensure the proper permits are secured and any required inspections take place. We put safety first – both for our employees and our clients. 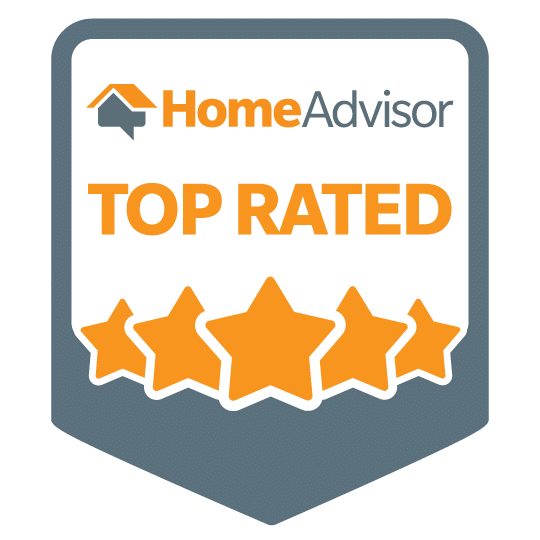 If you suspect that you may have asbestos in your home, contact us today for an inspection and no obligation quote to have it safely removed.